Euthanasia Prevention Coalition Euthanasia Prevention Coalition: Montana: Fight over assisted suicide moves back to court. 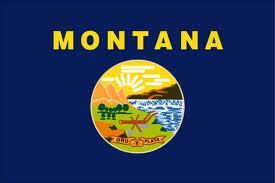 Montana: Fight over assisted suicide moves back to court. The legislative session this year in Montana witnessed the defeat of a bill to legalize assisted suicide and the defeat of a bill to protect Montana citizens from assisted suicide. The issue of assisted suicide in Montana is a little confusing, but now a court case may finally clarify the status of assisted suicide in Montana. The issue of assisted suicide took a turn toward confusion in 2009 when a judge decided that there is a right to assisted suicide in Montana. That decision was overturned by the Montana Supreme Court but the Supreme Court stated that if prosecuted a physician could use a defence of consent. HELENA — The fight over physician-assisted suicide in Montana is moving back to the courtroom after the Legislature failed this session to clarify that the practice is specifically legal or illegal. Montanans Against Assisted Suicide is trying to strike the state Board of Medical Examiners' policy that guides doctors in the matter. A Helena judge has scheduled oral arguments for next month in the case. The lawsuit was filed in December. Since then, the Montana Legislature failed in efforts to either clarify that the practice is specifically legal or illegal. It was the second straight session where lawmakers couldn't agree on which direction to take the state. Supporters of the procedure argue that Montanans should be allowed to decide themselves how to die when facing terminal illness. Opponents argue physician-assisted suicide is a recipe for elder abuse and the government has a responsibility to protect the vulnerable older population. The procedure has been surrounded by various interpretations since the Supreme Court ruled in 2009 that nothing in state law prohibits physician-assisted suicide - but it did not rule on whether the practice is a constitutionally protected right. The decision said nothing in state law, or precedent, makes the procedure illegal. A Board of Medical Examiners rule adopted last year says it would consider, on an individual basis, any complaints filed against a doctor for providing "aid-in-dying." Without formal laws guiding the procedure, there are no other state reporting or other requirements and it is unknown how common the practice is. Montanans Against Assisted Suicide argues in its court case that it believes the Supreme Court never legalized the procedure with its 2009 decision, which it argues is much narrower than others are interpreting it. The group also argues that the board implemented its new rule without sufficient public notice. The group argues that the board's position on the matter attempts to convince more doctors they will be protected if they assist a patient with suicide, which can be done with a prescription of drugs. The lawsuit calls the rule "a significant toe in the door to the attempted backdoor legalization of assisted suicide." The Montana Board of Medical Examiners has said that it wrote its position paper based on a request from a member. The board said its position does not pass judgment on the procedure one way or another. The board said at the time it put the rule into place that the position paper was neither an administrative rule or a law, but merely informative guidance to its regulated members. 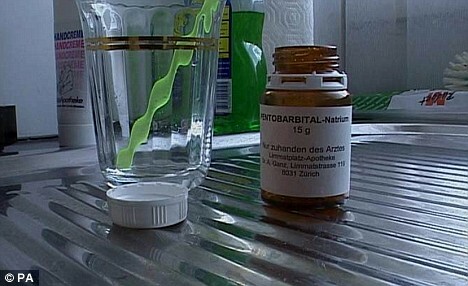 How legalizing euthanasia changed Belgium. Quebec doctors unite against euthanasia. Pro-suicide advocacy increasing suicide rates.